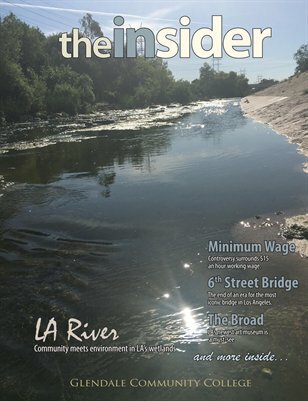 This year’s offerings include an in-depth look at the LA River and a photo tribute to the iconic 6th Street Bridge, reviews of a Koreatown Spa and the area’s newest art museum, considerations of arctic drilling and minimum wage increases and how not to live like a musician. In short, there is something for every reader in Glendale College’s student magazine. Enjoy!